This is a delicious more casual alternative to pumpkin pie .Bring in the Autumn! In a mixing bowl combine: flour, sugar, baking powder, baking soda, salt, cinnamon allspice,nutmeg,clove. Add pumpkin, oil and eggs . Mix well. Pour even amount of mixture in each pan. Remove from oven and cool 15 miuntes. Remove from pan and cool . Frost with Maple Cream Cheese Frosting. Beat together cream cheese, butter and maple syrup and a pinch of sea salt until smooth. In small amounts add powdered sugar. I don’t have to tell you about my obsession with all things Autumn, Festivities and Family. 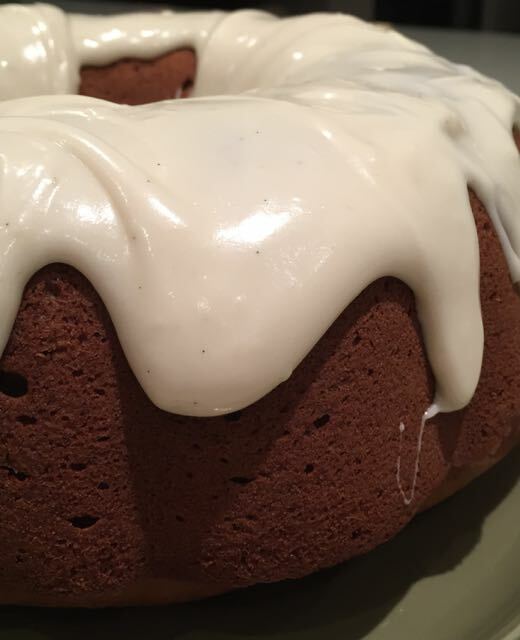 Grease and flour 12-cup Bundt pan. In a medium sized bowl add flour, cinnamon, allspice, baking soda and salt and set aside. Beat Sugar and Butter until light and fluffy. Add 1 egg and 1/4 of flour mixture. Beat well. Add pumpkin, sour cream and vanilla extract and mix until combined. Bake 55 minutes or until wooden skewer inserted comes out clean. To me the fact that this glaze is beautifully thick and white makes the cake even more festive. Beat powdered sugar and cream cheese until well blended. And milk in tablespoon increments until your desired consistency. 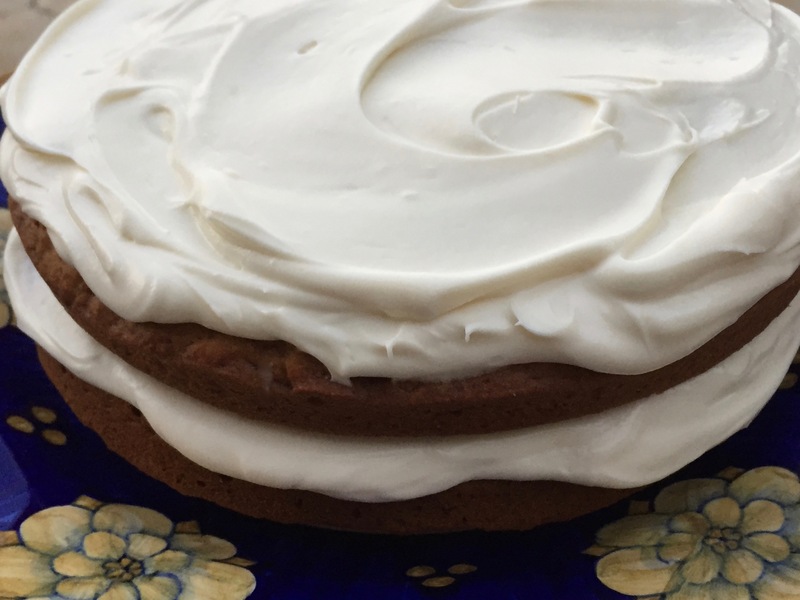 Drizzle Glaze over a slightly warm cake, not too warm you want to keep the white white !